What do we do? We meet 3 times a year as a full group but in smaller working groups on other occasions. Agree the local syllabus for RE. 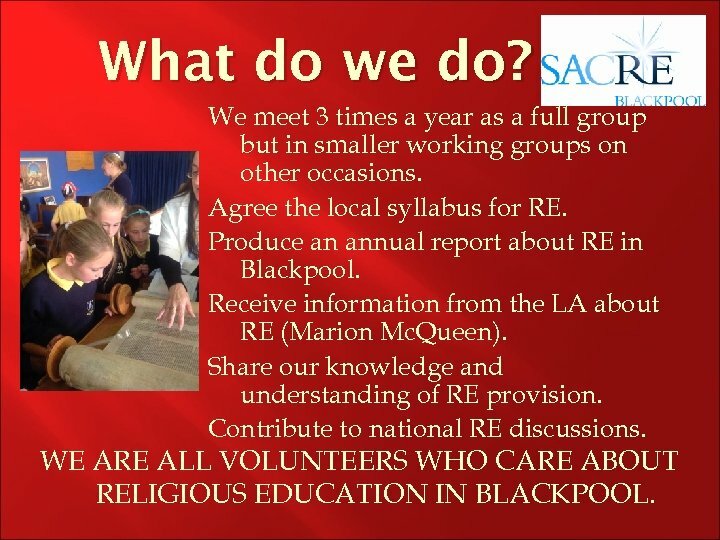 Produce an annual report about RE in Blackpool. Receive information from the LA about RE (Marion Mc. Queen). Share our knowledge and understanding of RE provision. Contribute to national RE discussions. 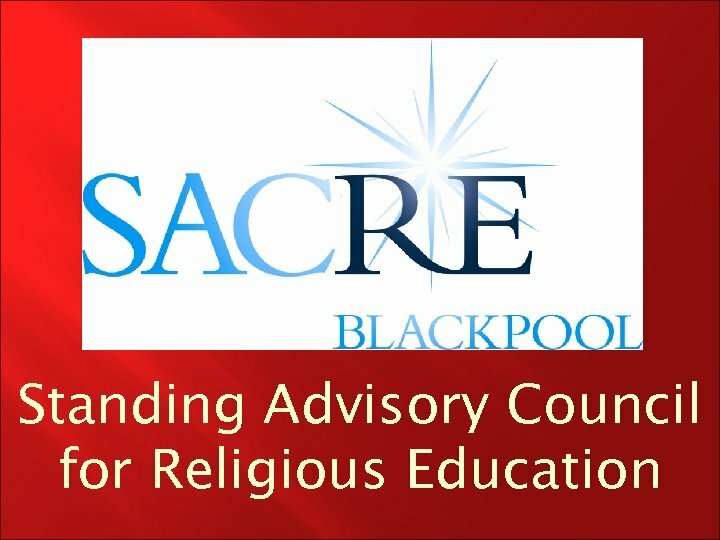 WE ARE ALL VOLUNTEERS WHO CARE ABOUT RELIGIOUS EDUCATION IN BLACKPOOL. The current position? 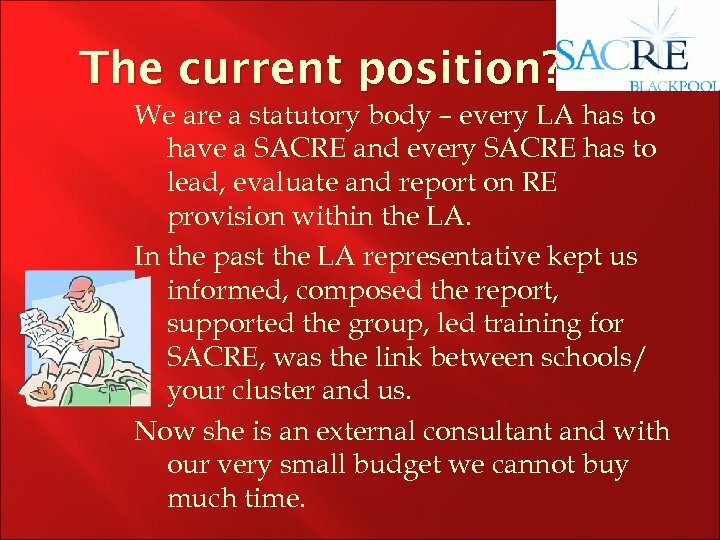 We are a statutory body – every LA has to have a SACRE and every SACRE has to lead, evaluate and report on RE provision within the LA. 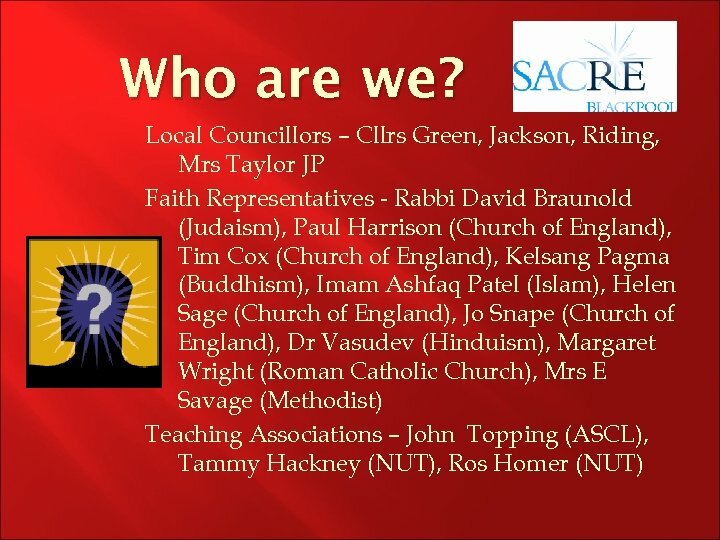 In the past the LA representative kept us informed, composed the report, supported the group, led training for SACRE, was the link between schools/ your cluster and us. Now she is an external consultant and with our very small budget we cannot buy much time. The future? That is up to us. . . We have statutory duties but we can only fulfil them with your help. 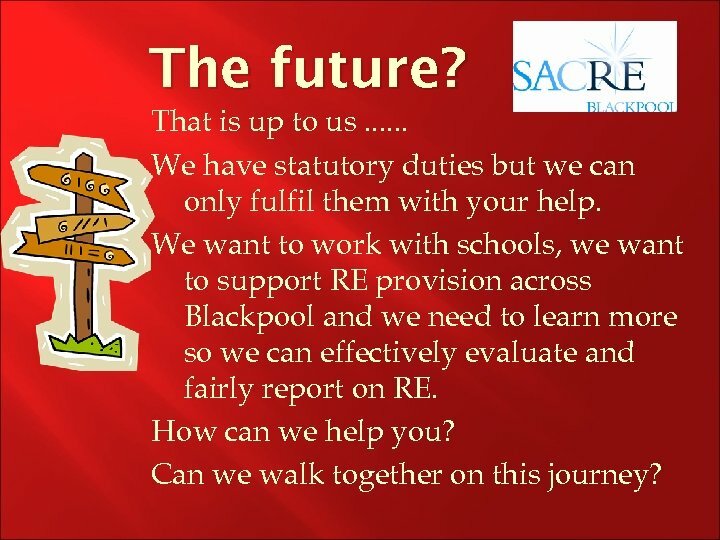 We want to work with schools, we want to support RE provision across Blackpool and we need to learn more so we can effectively evaluate and fairly report on RE. How can we help you? Can we walk together on this journey?